Stagville, an eastern Orange County (now Durham County) plantation of several thousand acres, initially belonged to Virginia-born merchant Richard Bennehan (1743-1825). Bennehan came to North Carolina in 1768 to manage a store on Little River owned by Scottish merchant William Johnston. He began to purchase plantation lands near the Johnston store in 1776, and in the same year he married Mary Amis, a member of a planter family from Northampton County. In 1787 Bennehan bought the core of what would become Stagville Plantation from the widow Judith Stagg. She and her husband Thomas had operated a tavern at the site, which was probably even then known as "Stagville." Bennehan built a new store and dwelling on the Stagg tract, where he and Mary raised two children, Rebecca and Thomas. At the end of the eighteenth century, Bennehan ranked among the area's most successful planters, owning 3,914 acres and 42 slaves of working age. His lands produced crops of tobacco and cereal grains, as well as livestock. Located near the intersection of the road between Person County and Wake County and the Great Trading Path (running approximately along the modern Interstate 85 corridor) the store prospered, as well. It served for many years, moreover, as the Stagville post office. In addition, Bennehan, a Federalist in political orientation, was a friend to many highly placed North Carolinians, including James Iredell and William R. Davie. Reflective of his status, he was named to a commission charged with building the State Capitol, and he served as a trustee of the University of North Carolina in Chapel Hill. Stagville's long-term destiny was affected in 1803 when Rebecca Bennehan married Duncan Cameron, a lawyer and planter who was to play a leading role in the state's judicial, political, and banking affairs. Duncan and Rebecca were to make their home at Fairntosh Plantation, one mile south of the Bennehan house at Stagville. Thomas Bennehan never married, however, and upon his death in 1847 Stagville passed to the Cameron family. Under the ownership of Duncan and Rebecca's son, Paul, it was part of one of the largest complexes of plantations in the antebellum South, encompassing lands in Granville, Orange, Person, and Wake Counties. The old Bennehan house became an overseer's dwelling, while Paul Cameron resided at Fairntosh and at his Hillsborough home, Burnside. More than 100 slaves lived at Stagville Plantation, most housed at the Horton Grove quarter. Following the Civil War, many former slaves and their descendants continued to reside at Stagville, working the land as sharecroppers. After Paul Cameron's death in 1891, Stagville was inherited by his son Bennehan, who continued farming operations there. Stagville subsequently passed to Bennehan Cameron's daughter Isabelle, who sold the property in 1950. It was purchased in 1954 by Liggett & Myers Tobacco Company, which used the Stagville acreage to raise both field crops and livestock. 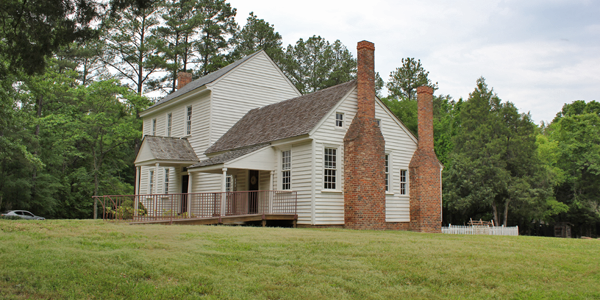 In 1976 Liggett & Myers, in cooperation with the Historic Preservation Society of Durham, donated 71 of Stagville's core acres to the state, and Historic Stagville became a North Carolina State Historic Site. The gift included the Bennehan house as well as four Horton Grove slave houses (ca. 1851) and the enormous Stagville barn (1860). The result was the creation of the Stagville Center, a facility used for teaching historic preservation theory and technology and African American history. The remaining lands of Stagville farm were purchased in 1984 by Durham Research Properties. Together with Fairntosh and Snow Hill farms (both former Cameron plantations), it became the 5,200-acre Treyburn complex, one of the largest residential, commercial, and industrial developments in the Southeast. Jean Bradley Anderson, Piedmont Plantation: The Bennehan-Cameron Family and Lands in North Carolina (1985). Charles Richard Sanders, The Cameron Plantation in Central North Carolina (1776-1973) and Its Founder Richard Bennehan (1974). "Historic Stagville Slavery – Plantation Life." North Carolina Historic Sites. http://www.nchistoricsites.org/stagville/stagville.htm (accessed September 20, 2012). "An Act to Appropriate Funds to the Department of Cultural Resources for the Continuance of the Stagville Preservation Center." Session laws and resolutions passed by the 1977 General Assembly. Winston-Salem, N.C.: Hunter Publishing Company. p. 1343-1344. http://digital.ncdcr.gov/u?/p249901coll22,374176 (accessed September 20, 2012). Stagville Plantation Video, 8:12, posted by Dahosu, April 12, 2012. http://www.youtube.com/watch?v=bXt06373y18 (accessed September 20, 2012). "Big-House.png." Stagville State Historic Site. August 2012. http://www.stagville.org/wp-content/uploads/2012/08/Big-House.png (accessed September 20, 2012).